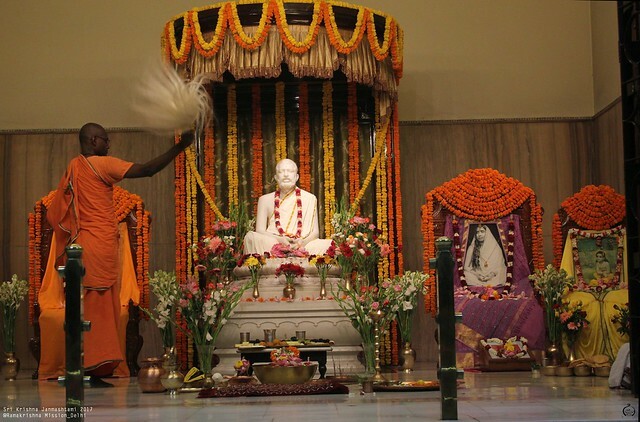 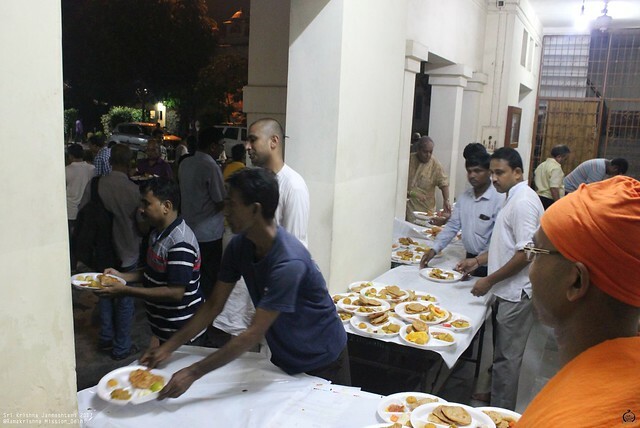 Sri Krishna Janmashtami was celebrated at the Ramakrishna Misson, New Delhi, on Monday , the 14th August, 2017. 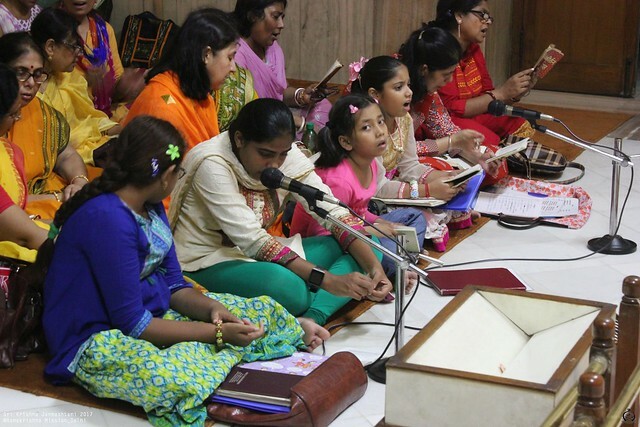 The main feature of the celebration of Sri Krishna Janmashtami besides the special puja, was the chanting of all the 18 Chapters of Srimad Bhagavad Gita in the Temple. 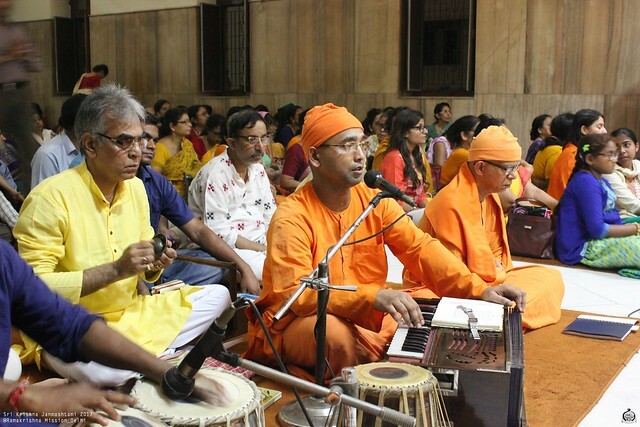 The entire chanting was done by the devotees in chorus led by Revered Secretary Maharaj along with other monastics of the Ashrama. 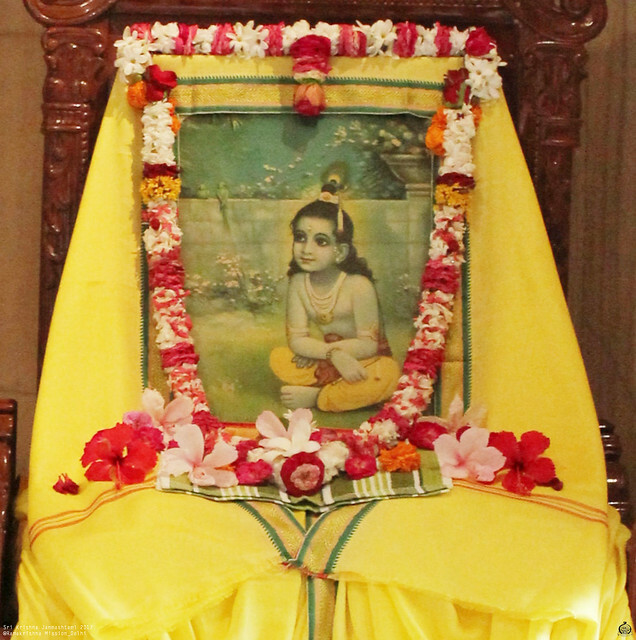 During the chanting, the sanctum sanctorum was opened by Swami Tadbhasanandaji (Shanmukha Sundaram Maharaj) and all those who were reciting the Gita at that time were delighted to see the beautiful decoration of the Garbha Mandir wherein the portrait of ‘Bal Krishna’ on a nicely decorated altar had been placed by the side of Holy Mother’s portrait. 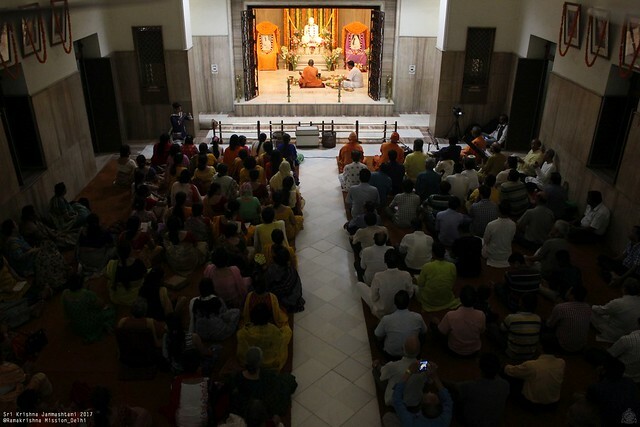 After the Evening Arati, Special Puja was performed by Swami Tadbhasanandaji assisted by a few volunteers. 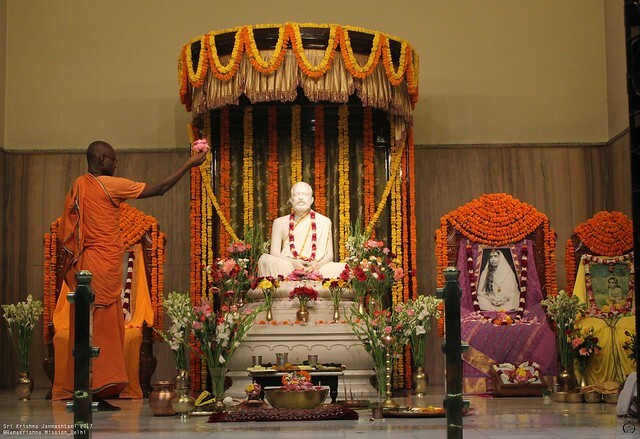 During the puja, Br. 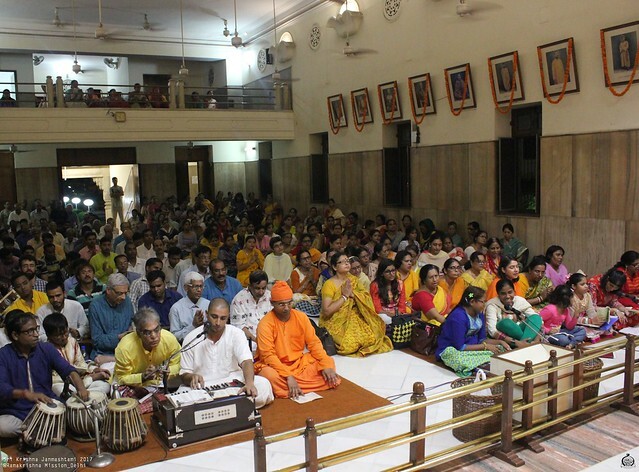 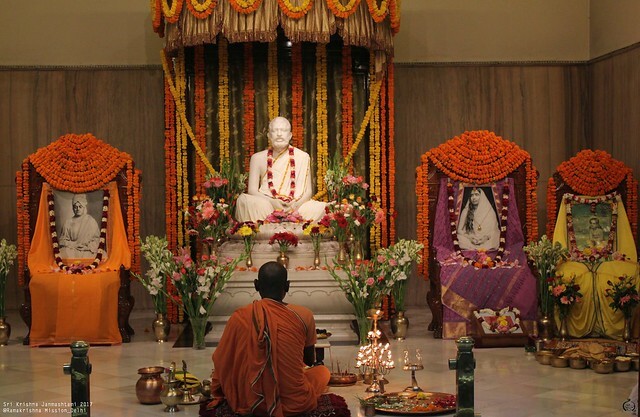 Divyachaitanya (Anupam Maharaj), did Sri Krishna Sankirtanam, followed by devotional songs by Swami Niriharanandaji (Manavendra Maharaj). 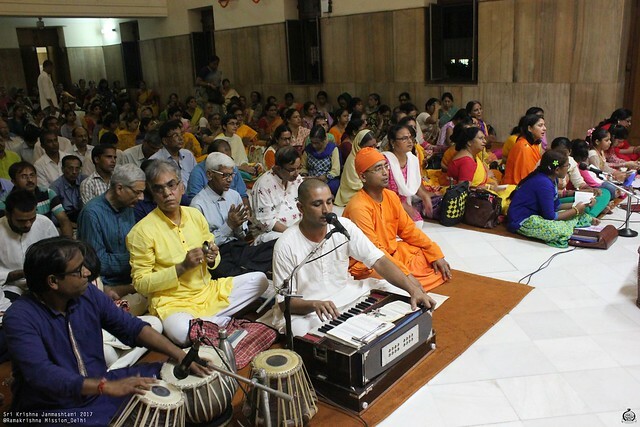 Towards the end, Revered Secretary Maharaj conducted two bhajans and also led the Aratrikam song. 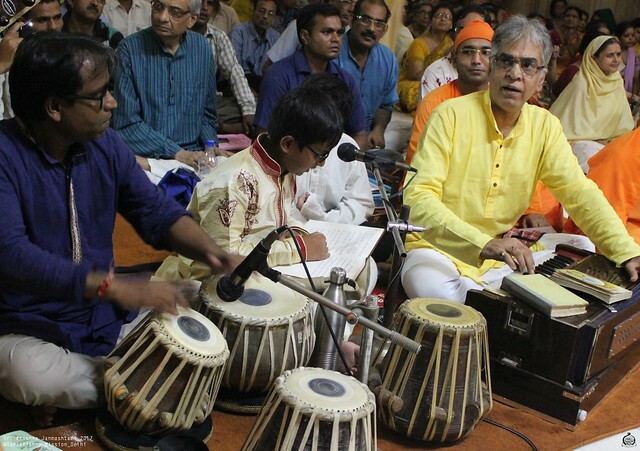 Bhogarati was performed with the singing of “Jai jagadeesa hare ….” in chorus led by Revered Secretary Maharaj. 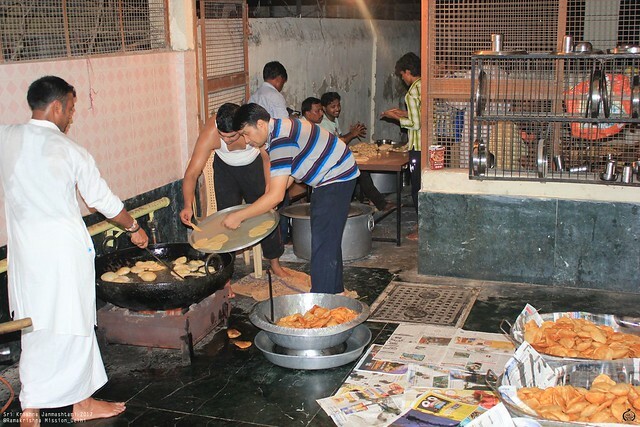 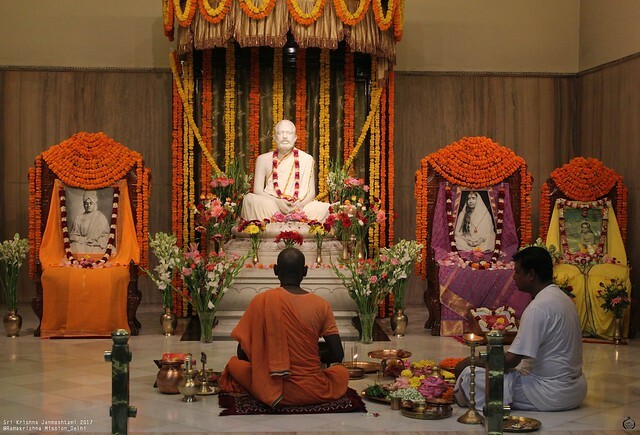 The devotees offered pranams to all deities and moved on to take cooked Prasad.